United States’ Lindsey Vonn speeds down the course during the downhill portion of Friday’s women’s combined at the alpine ski World Championships in Are, Sweden. From elation to ouch in an instant. But that moment at the 2009 world championships in France – she needed tendon surgery – illustrates the bliss and bad breaks along Vonn’s road to becoming the winningest female ski racer. Oh, and some farm animals – a cow named Olympe, for winning an event in 2005, and a goat named Laura – after her sister – as a race reward at the ‘09 worlds. THE HIGHLIGHTS Hard to pick just a few. There was her first World Cup win on Dec. 3, 2004, in a place she always felt at home – Lake Louise, a course now named after her. There’s also the Olympic gold medal at the 2010 Vancouver Games on a badly bruised shin; breaking Annemarie Moser-Proell’s women’s World Cup record for wins on Jan. 19, 2015, in Italy; and an Olympic bronze medal at the Pyeongchang Games last February after all her bumps in the road. CALL IT A COMEBACKOne of the reasons she’s walking away now is so she can ski recreationally. Her knees are “broken beyond repair,” she acknowledged, after numerous surgeries. She’s also broken her left ankle (August 2015), suffered fractures in her left knee (February 2016), hyper-extended her right knee (February 2007) and been taken off the mountain by a helicopter twice (once after a training crash before the 2006 Turin Games where she returned two days later to race with a bruised hip and again at the 2013 world championships in Austria where she tore knee ligaments). One of the scarier episodes was a broken right arm in November 2016 after a training wipeout. Right after surgery, she had nerve damage and couldn’t move her fingers. She later taped a ski pole to her glove in her return to racing. Soon, she will have knee surgery for the seventh time – to repair the left knee ligament she tore during training in November. “The image of Lindsey will always be just toughness,” U.S. ski team doctor William Sterett said. CLOSE CALLVonn was going for a fourth straight World Cup overall title during the 2010-11 season, when the final race of the year was called off because of the weather. She lost by three points to Maria Hoefl-Riesch of Germany. “Win or lose, I just wanted the chance. 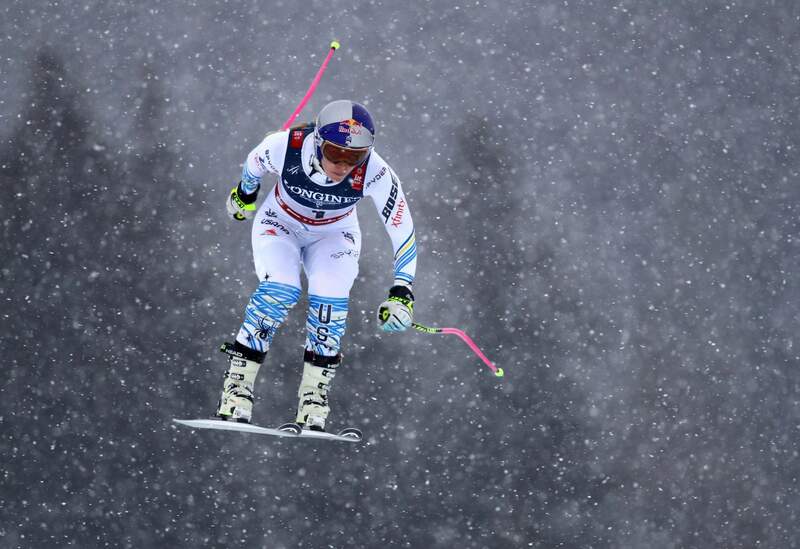 I feel devastated,” Vonn said at the time. 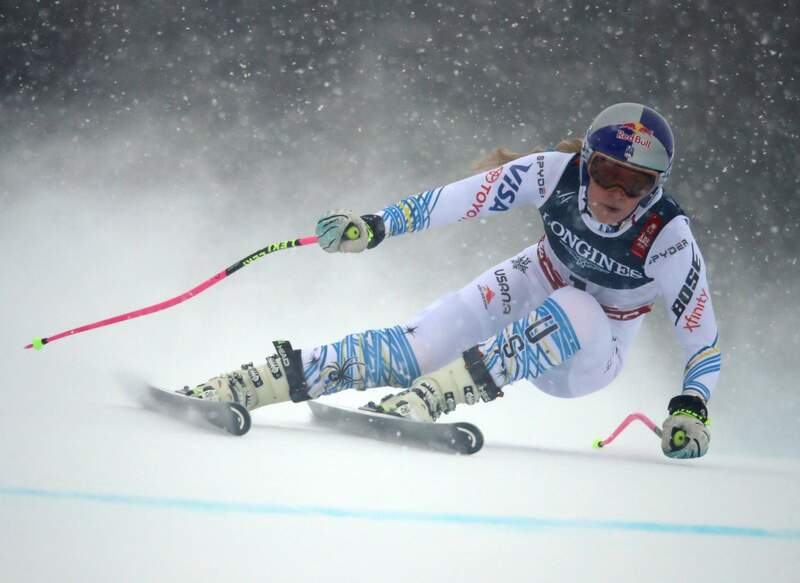 Vonn won the overall the next season by more than 500 points. HELPING OUTVonn has her own foundation, which is dedicated to helping girls achieve their ambitions . She also opened up in a 2012 interview with People magazine about dealing with depression. In addition, she wrote a book titled, “Strong is the New Beautiful,” which features lessons in fitness, food and attitude.